I was a durian seller for more 30 years since 1960’s. I am revealing some durian sellers dirty tricks & the quality of the durians. This year the durians are very expensive & hope readers will decide after reading it. 1) never buy durian from display packaging pack why? becos the seller will assemble overnight or half spoilt durians into packaging pack & sell at fixed price. Actually overnight durians are almost worthless & easily get bad.If the durians taste sour pls stop eating & throw away the pack. 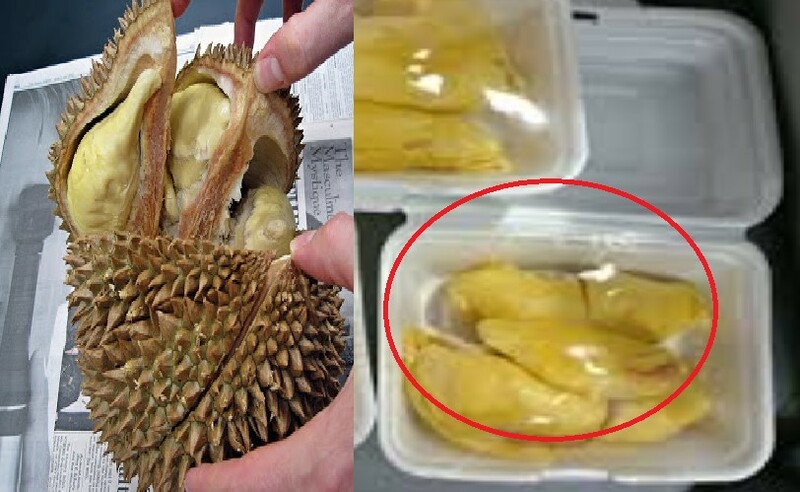 2) pls do not eat branded durians like Mao Shan Wang/D24/red prawns & others why? the durian farmers will spray toxic chemicals at the tree roots/bark & durians to prevent flying fox/snake/insects & others from attacking their expensive durians.As a result you can hardly see housefly & ants at the durian stalls nowadays. 3) FYI I lost 2 good friends ( died from throats cancer) by eating branded durians for few years. I did warn them Just try to eat Mao Shan Wang/D24/red prawns & others you can straight away feel the burning sensation at your throat during your sleep or next morning.This indicate the toxic chemical are working. Another gd example to confirm the above that there are no housefly or ants attacking the durian packaging sale pack although the durians are very sweet. Just check it yourself. Pls check all your buy durians before paying( they can switch them very fast) & also check their weighting machines.After all the durians is like the price of gold. 5) pls do not eat any durian cakes/pudding/deserts as the owners buy the cheapest quality. P/S watch out for more update news. Next Article WOODLANDS HDB WATER LEAKING FROM LIGHTS!